Some commercial fleet drivers aren’t properly caring for their vehicles, nor are they driving safely, which can raise operating costs and increase risk, fleet managers have told Fleet Financials. The managers expressed their top concerns about these poor habits of fleet drivers, and provided suggested solutions. One of the biggest issues some fleet managers face are drivers who don't take care for the vehicles they drive, including considering proper maintenance intervals as well as vehicle cleanliness and overall appearance. 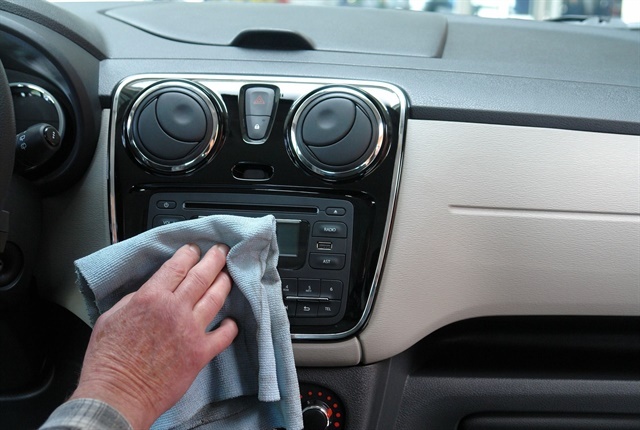 David Anderson, senior fleet and travel manager for ALFASIGMA, said that one the worst behaviors he observes among drivers is not caring for the maintenance or appearance of the vehicle. "Although there is no excuse for either, the maintenance is what bothers me most because it does not cost them to maintain their vehicle, the company pays for it," said Anderson. "The same applies to car washes. Some drivers do not feel this is a priority." As a solution, Anderson suggested regularly sending reminders for the upkeep of vehicles to drivers and alerting driver managers of this poor practice as it occurs. Or perhaps offering incentives to drivers who keep vehicles well-maintained. A fleet manager in the oil field services industry who requested anonymity said some drivers lack accountability and responsibility for fleet vehicles, even vehicles that drivers take home. This manager also mentioned the level of care of vehicles may vary by the type of industry that a fleet is part of. "It's a mindset; some will take pride in it, and keep their car clean and washed, while others will think 'It's not my car.' Some are not held to any consequence by doing what they do," the fleet manager said. Meanwhile, an anonymous insurance fleet manager also observed similar issues. To curb the problem, he said that he will take pictures of the vehicle and send them to the driver's manager, which is then followed up with a one-on-one discussion with the manager and the driver, as well as a plan to prevent the issue from reoccurring. However, the insurance fleet manager said that drivers who do care for the vehicle aesthetic and perform basic vehicle maintenance, will positively impacts the fleets bottom line. "It makes such a huge difference when remarketing our vehicles and it definitely reflects the difference in the TCO (total cost of ownership)," he said. Anderson of ALFASIGMA also noted drivers who are accident prone as being a major issue for his fleet. "It seems like some of our drivers get in some kind of incident on a regular basis. I truly believe that most of the time these accidents happen because the driver was distracted, by using a cell phone, texting, or simply not paying attention," he said. To remediate this issue, Anderson said fleets should make sure drivers are up to date on company driver training policies, and assigning additional training whenever necessary. Blair Schober, U.S. fleet, EH&S, and telecommunications manager for Red Hawk Fire & Security, also mentioned poor driving behaviors as being problematic for fleets. To solve this, he said fleet managers may want to consider creating more visibility on the issue to fleet drivers. "Visibility creates awareness from which managers may act," he said. "Actions range from coaching employees verbally, write ups, suspensions, and firings." Schober also suggested the utilization of telematics data; implementing driver training module; implementing a dash camera; and implementing ride-along training with high-risk drivers as some suggestions to curb the issue. "Ultimately, it comes down to setting the bar and holding people accountable," he said. "Technology is a great tool to use when more visibility or control is needed." The oil field services fleet manager also agreed with the aid of telematics data, but added that this technology does not guarantee a solution. "With telematics, it is changing some driver behaviors, but you still have people that don't consider the vehicle," the fleet manager said.